Love playing as part of a team? HintHunt® is a new simple and fun live escape game, designed for small groups of 3-5 people. You get 60 minutes to climb a mountain of puzzles and mysteries in a tiny room. The goal is simple yet challenging: get out in time! Else … you could be trapped inside forever! During this engaging and challenging game team members truly live and breathe in union for an hour. To book a game click here. Thanks to Hint Hunt who let some of the community of Love Pop Ups London community come down to experience such an amazing escape room. Read all community blogs/reviews from the comments section below. Thanks to Love Pop Ups – London I have been lucky enough to try a few London Escape Rooms/Games in a very short period of time. Every game has been different, having certain things that have wowed and amazed. Unfortunately for me Hint Hunt falls a little short in this respect. We completed “James Murdock’s Office” which is set around a detective who has been framed for a murder by 1 of 5 criminals he had been working to put away for good! A very good story with plenty of relevant props and puzzles however the room had A LOT of objects to find – not all of these ending in riddles/puzzles so it felt more of a hide and seek exercise (I suppose Hint Hunt really is an apt name!). There was also a lot of hints given – not all necessary but most essential to really carry on with the game. Lastly the staff didn’t feel as engaging and as enthusiastic as other escape games I have been to. Overall a good concept however some of the objectives could be better thought out. Escape the room and solve the murder? 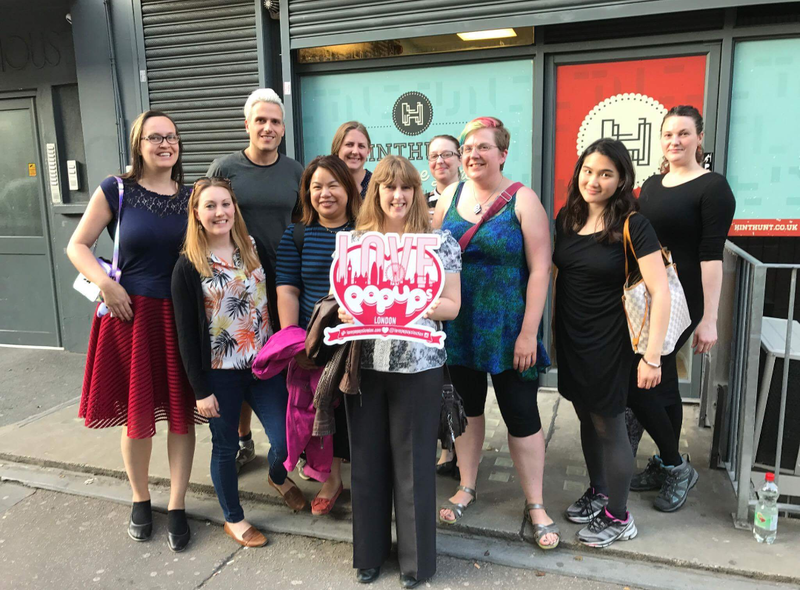 I was invited by Love Popups London to participate in Hint Hunt‘s JM’s Office escape game. We gathered at Euston station and walked over to the Hint Hunt offices, they house several identical rooms of each of their games, so we were able to race each other in two teams, which is always a great incentive when working with larger groups. Our hosts were very friendly but seemed a bit bored, we quickly engaged them in conversation though, it did give the place a very casual and not too professional feel though. Bored and not sure what to do this Bank Holiday? come and check out my review on the Original Escape Room!